What’s New? – Page 2 – Yo Bagels! Joe and I had another excellent Sunday this week at the South Kona Green Market in Captain Cook. We brought a few new and classic flavors to our stand and managed to sell them all once again. We had Everything, Sesame, Cinnamon Raisin along with Poppy, Onion, and our flavor of the week: Rosemary Honey. 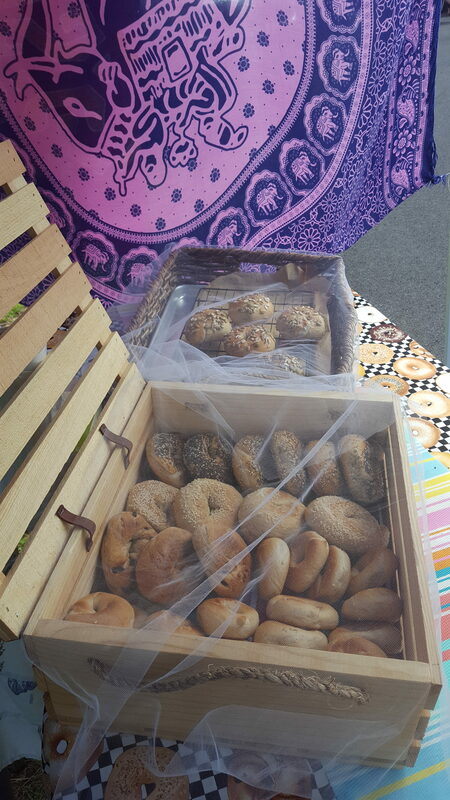 If you come by our stand, please let us know what kind of bagel is your favorite and we will try to make it happen! Mahalo to all our customers for trying the best bagels on the Big Island! 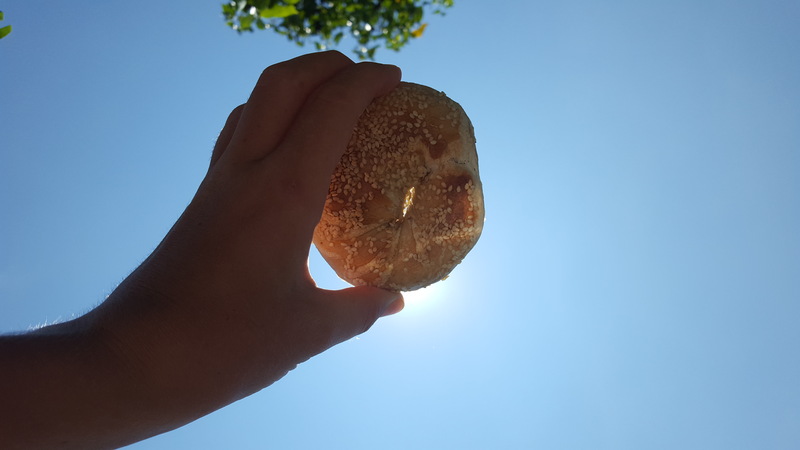 See you next week on 9/18/16 for another bagel-ful Sunday in beautiful Hawaii! 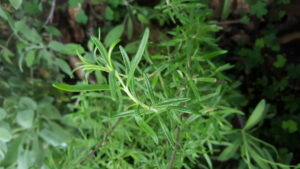 Garden Fresh Rosemary for our bagel flavor of the week. New Flavors at the South Kona Green Market! Joe and I had another great day at the South Kona Green Market in Captain Cook. 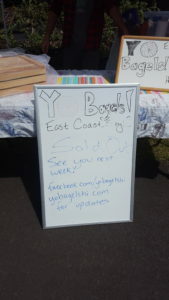 We tripled our supply this weekend and still managed to sell them all. 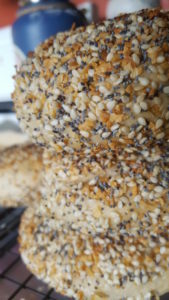 This week we brought in everything, sesame, cinnamon raisin, plain mini-bagels, and a sweet seeded (sunflower & pumpkin seed with a drizzle of honey and sprinkle of sea salt). We had a few extra spreads like scallion cream cheese and hummus. 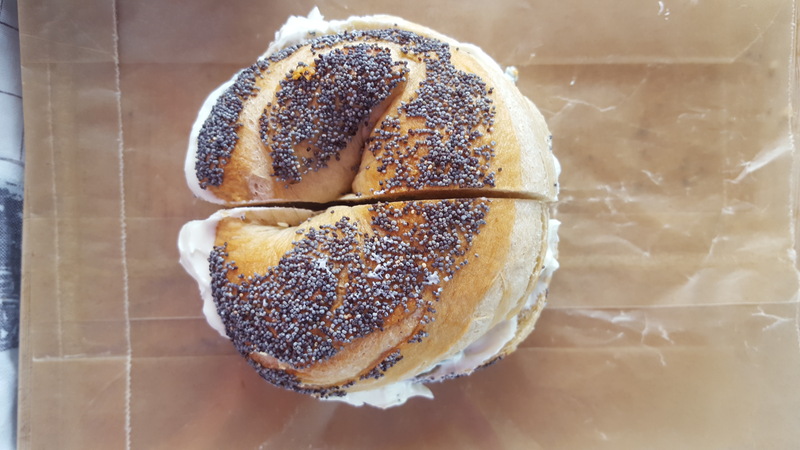 We loved the sweet seed bagel with cream cheese and will be adding that flavor to our rotation. Come by next week, 9/11/16 and try the best bagels on the Big Island! Joe and I and our first day at the South Kona Green Market today, Sunday August 28th. 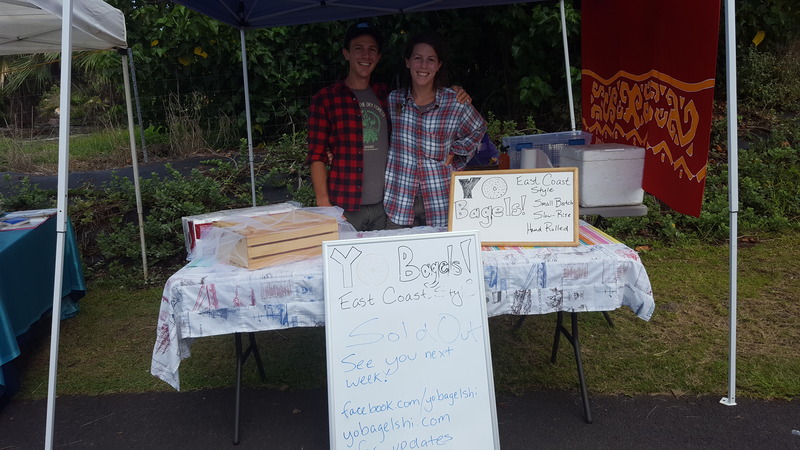 We were stoked to get started and we ended up selling out all of the bagels we made in an hour! Next week we’ll be back with a bigger supply and a few more flavors. Come see us on Sundays on the Big Island at the South Kona Green Market in Captain Cook, Hawaii from 9am-2pm (or sold out! ).